Oceanfront beauty! One level 3 BR, 3 Bath with absolute head-on, direct and unobstructed OCEANFRONT views that are unbeatable!! Updated interior with fresh paint and new carpet. Fireplace in living room for those unusually chilly Hilton Head days. Spoil yourself with easy beach access on either TL walkway over the dunes and then come back up to one of the TWO private Turtle Lane pools to float and relax. Only owners have unlimited use of covered parking at Turtle Lane. Private large, locked storage closets for each villa also located on garage level. The best oceanfront address in all of Sea Pines! Treat yourself and come take a look today! Penthouse. Luxury. Distinguished. Unmatched. A rare oceanfront offering in the Palmetto Dunes Resort. Professionally designed and decorated, meticulously maintained. A property unlike any other on the market. Four bedroom open concept living, a floor plan imagined to maximize the oceanfront beach views. Extensively renovated and re-crafted with top of the line appointments. Needs to be experienced in person to appreciate the attention to detail and the prime location. Marketed fully furnished, a turn key solution for the discerning buyer. 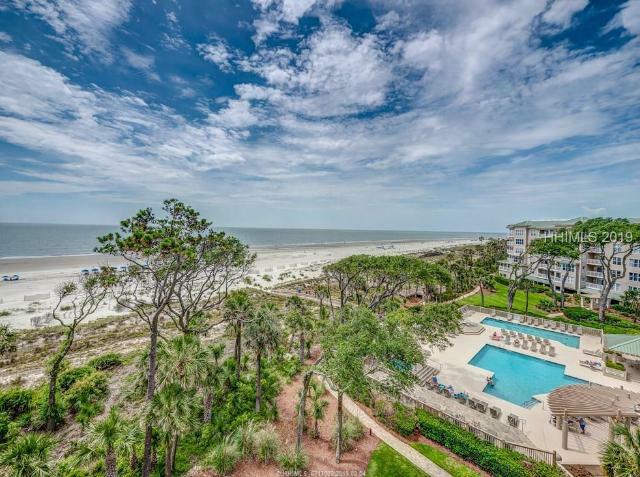 Outstanding oceanfront views and prime location adjacent to the elegant new Sea Pines Beach Club. Recently updated large 3 bedroom 3 bathroom villa features tile floors in the main living area, a fireplace, dining room with glass cabinetry, custom wainscoting, crown molding, granite counters in the kitchen along with updated appliances, and beautiful ocean views all around! The large balcony is accessible through the Living Room and also the Master Bedroom. Turtle Lane Club is a private gated community with two pools on site, underground parking and storage. Well established rental history and offered furnished. STUNNING! One of a kind, Direct Oceanfront 3 BR/3 BA villa with the most sought-after floor plan on the ocean. This unit has been completely renovated with quality finishes & thoughtful details incorporated throughout, new windows installed in 2018. Enjoy beautiful views of the ocean from every room and the wraparound deck. This outstanding property offers the quality of a second home & the proven income of a premier rental. Windsor Place I has 2 oceanfront pools with spa, adjacent bathrooms, sun deck, grilling area, boardwalk to the beach, garage parking and private storage lockers. Want to live or vacation in a luxury oceanfront/soundfront villa in Sea Pines just steps to the ocean and steps to South Beach marina, restaurants and shops? Spectacular luxury villa with eternal sunsets over Calibogue Sound and views out to the ocean. Completely renovated and updated to a premium VIP Luxury standard, the villa needs absolutely nothing. Renovated kitchen, baths, floors, ceilings all remodeled with high end furnishings and furniture. This is truly one of a kind VIP luxury villa with all one floor living and wrap around water views. What a perfect location for a vacation rental property, vacation home or primary residence. Swimsuits not included! But everything else you need is! The best seats in the house with views of the beach and the splendor of the Atlantic. Updated nicely with new lvp flooring, quartz kitchen counter tops, new stainless appliances and bathroom fixtures. This floorplan offers great views of the beach from the living area and two bedrooms. The master suite features a private balcony on the ocean. Never before offered, the views are the best on the beach. Hampton Place offers two oceanfront pools, covered parking, a sun deck and fitness room. Located in Palmetto Dunes with 3 eighteens, tennis center, bike paths, shopping and dining. 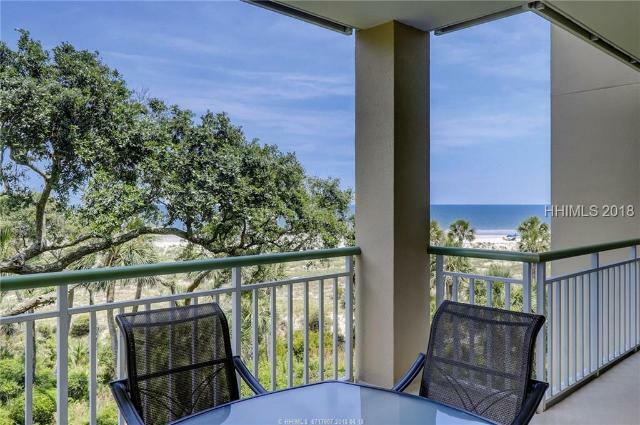 Palmetto Dunes direct oceanfront views await you! This beautiful 3 bdrm/3 bath 1st floor villa offers breathtaking views of the Atlantic Ocean. Fabulous open floor plan with family room, dining area, breakfast nook & kitchen. The kitchen has stainless steel appliances & granite counters. luxury vinyl floors throughout main living area, travertine in baths and carpet in bedrooms. Private balcony off bedroom & family rooms. Amazing outdoor environment includes two oceanfront pools with sundecks, spa, fitness center, grill area. Under garage parking & private locked storage for your convenience. See 3D VT link. A spectacular 3rd floor Windsor Place oceanfront 3BR, 3BA condo that offers beautiful views of the ocean and pool complex. Stunning decor, smooth ceilings, new flooring. Spacious open floor plan with kitchen, dining, breakfast area and living room. Multiple balconies. Only 3BR Windsor on the market. The Windsor Place Complex is located Oceanfront in famous Palmetto Dunes Resort. It has two large oceanfront pools and hot tub, as well as a covered pavilion with grilling area. One pool is great for children with a graduated entry. Windsor also has elevator access and covered parking garage. Direct Oceanfront views don't get any better than from this 5th floor OCEANFRONT PENTHOUSE in South Forest Beach-one of only four 4BR penthouses in all of Ocean One! Soak up the expansive views from three balconies that overlook the ocean, pool, and outdoor area with built-in BBQ's. A super spacious living area provides plenty of room for everyone, but if it's privacy you need, head up the spiral staircase to the second family room/living area with a skylight. The master bath even has separate his-and-hers vanities! This unit has only had 2 owners and has been lovingly maintained and used only as a second home! Would make great rental!!! See 3D VT link. Beautiful spacious villa with outstanding views! Just a short stroll to the beaches of Palmetto Dunes! Enjoy the outdoor entertainment area of Windsor Place with an oceanfront swimming pool & hot tub! Great rental potential or keep for yourself! Your Hilton Head dream villa is here!! LOOK NO FURTHER for your Hilton Head Island escape. RARE floor plan. 2nd Floor, FOUR bedrooms, each with an attached private bathroom. Easily sleeps 8-10. Great for a golfers-getaway. Sweeping balcony provides lagoon and ocean views. Windsor Place Villas is located in the sought after Leamington community. Two oceanfront pools with spa, adjacent restrooms, sundeck, grilling area, private boardwalk to the beach, garage parking, private storage lockers, and 24-hour security. Dream getaway! 3 award winning Palmetto Dunes golf courses, bike paths, boating, and beaches. A rental opportunity or keep this one all to yourself! See 3D VT link. ONE OF A KIND, SINGLE LEVEL OCEANFRONT VILLA IN WORLD FAMOUS PALMETTO DUNES! This 3BR, 2.5BA villa has almost 60 feet of ocean frontage with living area and ALL bedrooms facing the beach! Inviting interior with high ceilings, stone floors, granite and much more. Convenient "park at your door" entrance and when you step off any of 4 ocean side porches, your toes are in the sand! Just steps away from Dunes House restaurant/bar and Marriott Ocean Resort. Unique private rear sundeck with AWESOME OCEAN VIEWS! This villa is offered fully furnished and ready for fun! Nothing else like this for sale anywhere on Hilton Head Island! Great ocean views from this 3rd floor Sea Crest Villa. Many upgrades, including an open & bright bistro-styled kitchen with new cabinets, granite counters & stainless appliances. Remodeled baths with new vanities & granite counters. Enjoy stunning sunrises from the large balcony off the living room or master bedroom. Sea Crest offers many amenities, including two oceanfront pools, poolside bar & grill, Indoor lap pool, fitness center and just steps to the Beach Market Plaza & Coligny Plaza for shopping, restaurants & entertainment. This is a great income producing property with rental projections of over 70,000 per year! 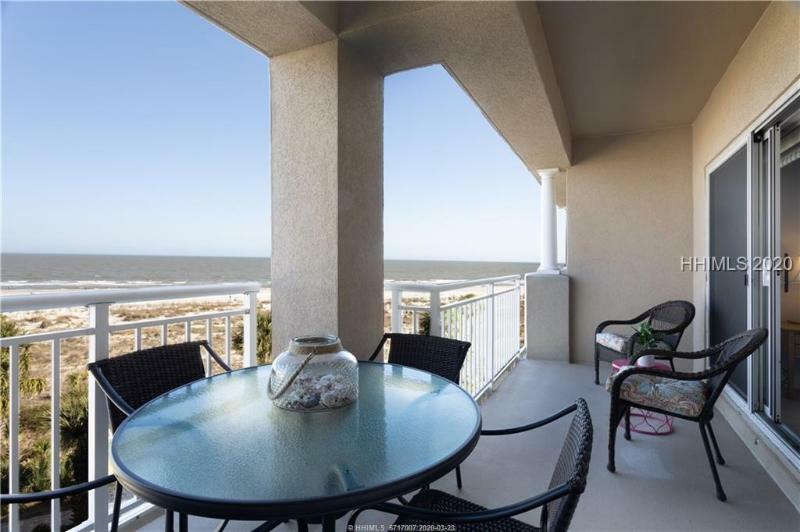 Fabulous Oceanfront views from every bedroom and all living areas of this 4th floor corner unit. The 3 bedroom, 3 bath condo at the Island Club has been completely renovated with open kitchen, stainless appliances, custom cabinets, and Silestone counter tops. Updated trim and flooring, smooth ceilings and plantation shutters throughout. Renovated baths with updated vanities, jetted tub, stone and tile walk-in showers and more! Built-in closet systems, full laundry room, storage unit and 2 balconies with amazing views. The nicest 3 bedroom Island Club ever offered for sale!